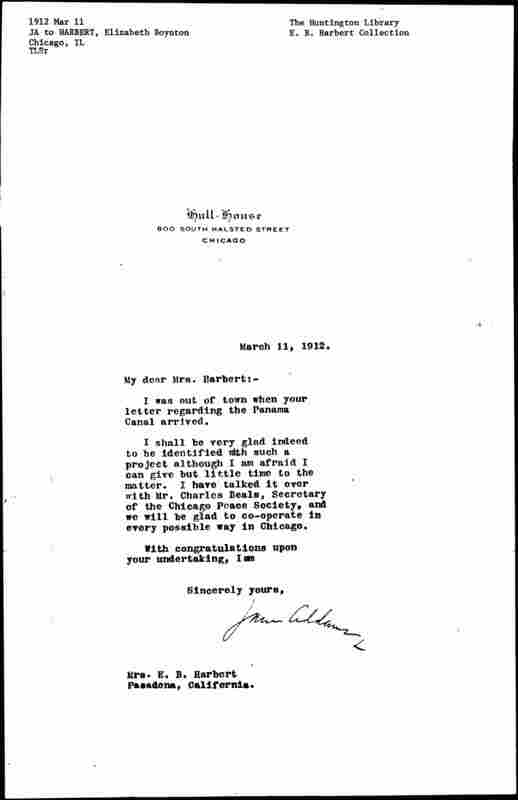 I was out of town when your letter regarding the Panama Canal arrived. I shall be very glad indeed to be identified with such a project although I am afraid I can give but little time to the matter. I have talked it over with Mr. Charles Beals, Secretary of the Chicago Peace Society, and we will be glad to [cooperate] in every possible way in Chicago. 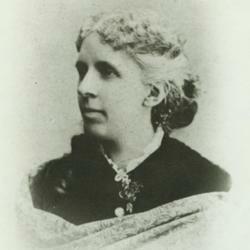 Mary E. Garbutt, "Women of America Unite for a Colossal Peace Statute at Panama Canal," Advocate of Peace (November 1911): 258-59. 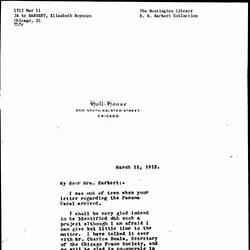 Addams, Jane, “Jane Addams to Elizabeth Boynton Harbert, March 11, 1912,” Jane Addams Digital Edition, accessed April 22, 2019, https://digital.janeaddams.ramapo.edu/items/show/4295.